Observers on the North Coast are well-positioned to see the last transit of Venus in our lifetimes on Tuesday, June 5, 2012. The event is rare, indeed, with the next transit taking place in the year 2117 — and then not visible from Northeastern Ohio! The Cuyahoga Astronomical Association, with several other astronomical and educational organizations, will host a major event celebrating the 2012 transit of Venus. The public is invited to Cleveland’s Edgewater State Park where telescopes will be set up, exhibitor booths and hands-on demonstrations operated, and solar viewing glasses made available. Observing of the transit begins just after 6:00 and ends with sunset, the transit still in progress. As darkness falls, the telescopes will turn toward other objects: the Moon, Mars, Saturn, even the International Space Station will put in an appearance! The lakefront event ends at 11:00 PM. The transit begins at about 6:04 PM EDT, when Venus appears to straddle the solar limb and is then visible until the Sun sets, having progressed halfway across the solar disk. In times past, transits of Venus were significant to astronomers as a means to accurately determine the size of the solar system. Astronomers from around the world embarked on expeditions to make observations from widely-separated locations. 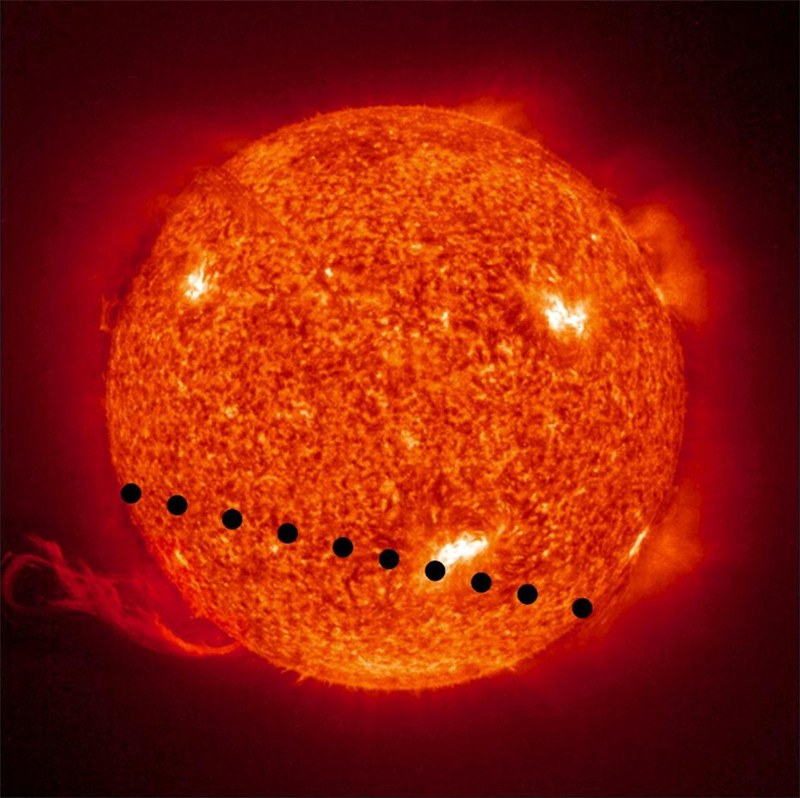 Today the rare alignment demonstrates how astronomers can detect planets orbiting distant stars using the transit method. For much more information on the 2012 transit of Venus, visit TransitOfVenus.org. For a schedule of events and location information, see the PDF located here, courtesy of Cleveland State University. In case the weather is bad or you just can’t make it, view the transit via Webcast: Click Here for Webcast Information or visit the Space Camera site: Click here for Slooh.com. This entry was posted in Uncategorized and tagged astronomy, Cleveland, northeastern ohio, public event, sky event, sun, transit of venus, Venus. Bookmark the permalink.